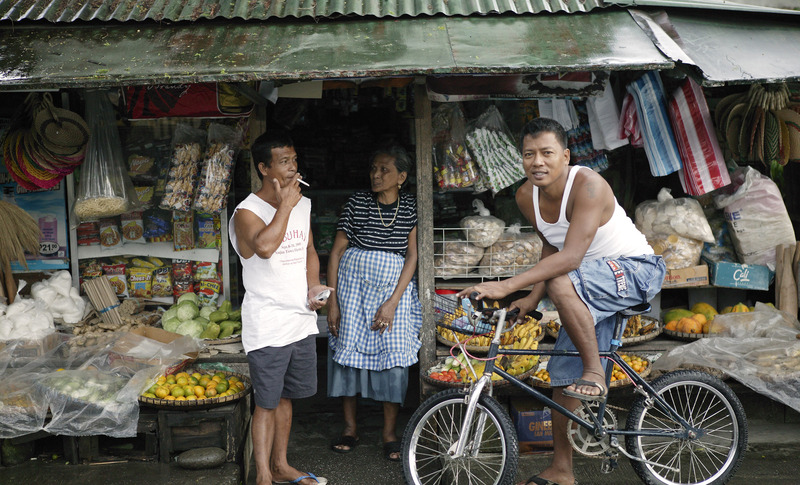 In Cabagan, Isabela province, Philippines, loan sharks are a problem and many farmers are trapped in poverty due to the high interest demanded. 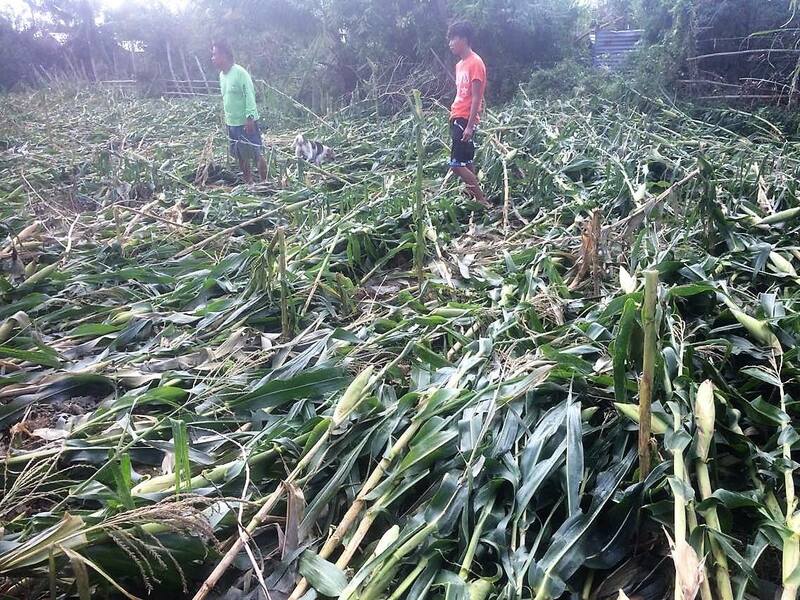 Furthermore, the anticipated crops were flattened by Typhoon Mangkhut. Natural disasters have a huge impact on communities and make breaking the cycle of poverty very hard. Please pray for these farmers and for our small microfinance project that provides funds, training on finance planning and management. 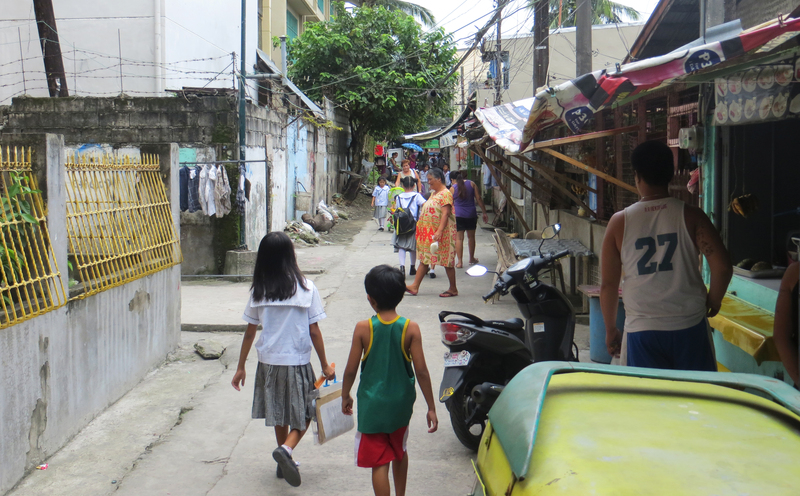 Described by UNICEF as “the global epicentre of the live-stream sexual abuse trade”, Dasmariñas City, just outside the capital, Manila, is a high-risk area for online sexual exploitation of children with the highest number of victims relative to its size. Viva and its partner network, PCMN, has a programme that seeks to train 1,000 children and 2,000 parents to recognise, resist and report online sexual exploitation. It is also influencing 100 government officials. Please help us to shine a light in this dark situation, to empower children and families to be beacons of hope and enable the church to reflect Jesus’ love. Delabayan, Philippines, became a model village due to the hard work and love of Christians dating back to the conflict between the Delabayan people and the government in 2000. Then Christians risked their lives to help this same village when their houses where flattened by the military. Local pastors, with their members, rebuilt the village one house at a time - and even their mosque - to prove that their intention is to help and not just to proselytise. After years of interaction with this village, the pastors are the most welcomed people in the village, more welcome than even other Muslims from other villages. 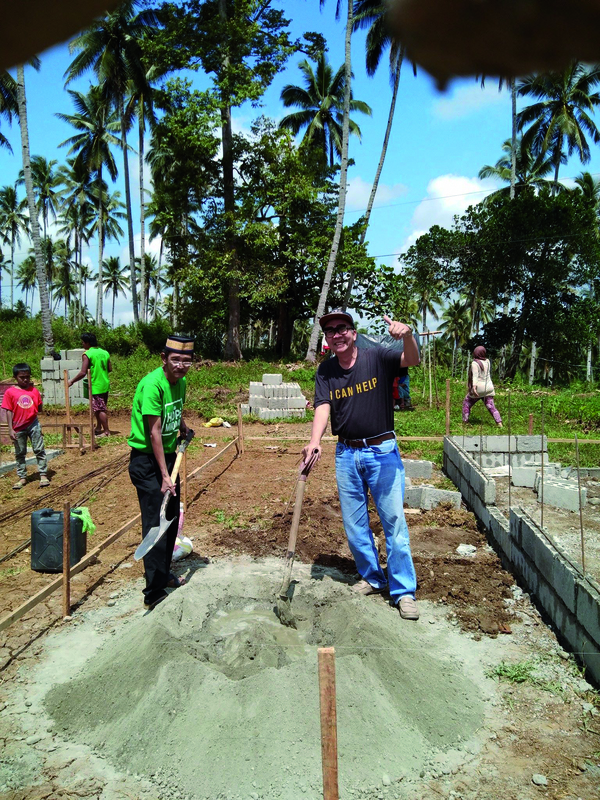 Pray for Emmanuel International and the consortium who are now helping to build 100 houses in Delabayan for people displaced during the Marawi war. The Kanu people of the Philippines have to move. The government is building a new highway along the city coastline, passing through the land where a Pastor’s community lives. There are rumours of relocation to the mountains, but they’re coastal people. One community member said, ‘We can’t move to the mountains. If we go there, we’ll die.’ Thankfully their pastor was able to share, in the mother tongue, about the faith given to Abram when he was told by God to leave his own homeland. Pray for God to provide the right place for the Kanu community at the right time and for faith to keep on trusting Him. Pray that God would continue to use the translated scriptures mightily in building up the faith of the believers and in bringing more people to Himself. A militant group attacked the Philippine island of Mindanao in May 2017, sparking a conflict with the Philippine army. As a result, hundreds of thousands of people were forced from their homes. Viva’s partner network, PCMN, has responded to the physical, psychosocial, and emotional needs of internally displaced children and families by providing essential relief assistance and trauma counselling. Around 8,000 children are benefitting from the counselling, and they are also setting up youth-friendly spaces for 800 young people, as well as play centres for 1,000 pre-school children. Please pray for wisdom in the training being carried out. Pray for peace and stability in families’ lives, and across the region. Around 20 typhoons affect the Philippines each year and, following the devastation of Typhoon Haiyan three years ago, Viva and a local partner PCMN have been running a rehabilitation programme to ensure vulnerable communities in Eastern Samar are well equipped when disaster strikes. During the second half of last year, the network held a series of events. A total of 3,255 children took part in camps organised by 11 organisations in three locations. The children learnt how to become better prepared to take care of themselves and others in the event of a typhoon, fire, flood or earthquake. Pray that when the next disaster strikes thousands of children and families will be better prepared and that more lives will be saved. In recent years Mindanao has become a flashpoint for extremist attacks. The father of 12-year-old Naomi was murdered in September apparently because of his faith and work as a church elder in Mindanao in the southern Philippines. Perfecto was at home in Sultan Kudarat when two men drove up and shot him seven times. Local Christians have also reportedly come under pressure to sell church property to Muslims who have built a mosque close by. Some have fled the area because of related attacks on nearby villages. Pray for Naomi and her younger brother, who are now orphans. Pray for peace in Sultan Kudarat, that the land dispute will be resolved and that Christians will stand strong in their faith, especially in areas where persecution is mounting. Poverty and education are linked. For the poorest families, two out of three heads of households have at most an elementary education. Emmanuel Relief and Rehabilitation Philippines (ERRP) launched a scholarship programme for the urban poor in the Philippines. The government and ERRP believe that education is one of the best solutions to fight poverty. If a person is educated, they have a lot more opportunities to find a job and even their worldview changes. The aim of the project is to make children and parents aware of their right to education, to alleviate poverty among those living in the dumpsite of Payatas area, and to economically empower them. Especially pray for the 30 students the project will initially fund. Imagine going through 22 tropical storms each year, a couple of which are capable of flattening your home and even submerging it with water. This is what most Filipinos have been going through year after year for the last five years. Whatever the causes of this trend, people suffer, many die, children are orphaned and even complete families are wiped out by the storms. Pray for the work of organisations trying to help alleviate the suffering of people who have lost loved ones, their homes and their livelihood. Pray that the lives of those who receive help will be changed for the better - for now and for eternity. Anywhere that you travel in the world, you are likely to find Filipinos! The nation's key export is workers - everyone from construction labourers in the Middle East to nurses in Britain. But their flair for adaptation also makes Filipinos excellent missionaries! Most learn languages with ease, acclimate to weather, culture, and food, and are creative in finding solutions to problems. Above all of these is the capacity for deep and lasting relationships. Ask the Lord to provide for the necessary finances in order that more Filipinos could go to unreached peoples, while still having enough to help their families back home. Since ancient times the Bata people have inhabited a series of river valleys along the 50-kilometre stretch of coastline on the island of Palawan. They are a highly mobile people, but at the behest of the government, have since settled in small villages. They often go on gathering trips into the forest for a few days at a time, an activity of both economic and spiritual value to them. As animists, the Batak make regular offerings to the spirits of nature, whom they believe to reside in big rocks and trees. Due to rapid depopulation, restricted forest access, sedentary living, incursion of immigrants, poor sanitation and accessibility to health services, there are only about 300 pure Batak remaining today. Pray for the success of a new initiative which is encouraging churches in the Philippines to reach out to tribal groups such as the Batak.